The light modification of Russia’s Proton carrier rocket may be developed in 2018, Khrunichev Space Center Head Andrei Kalinovsky said on Friday. "We hope, in 2018," he said, responding to a journalists’ question about the possible timeframe of developing a new version of the carrier rocket. The project is "at the stage of making a decision," the head of the Khrunichev Space Center said. "We agree the issues at various levels for making a decision, including technical characteristics. It has to be understood that this project is commercial. The required business plan is available," he said, adding that the approval process was under way. The development of the light version of the Proton carrier rocket was announced in June by State Space Corporation Roscosmos CEO Igor Komarov. According to him, the developers are set to increase the rocket’s efficiency and cut the cost of bringing a kilogram of payload into outer space. 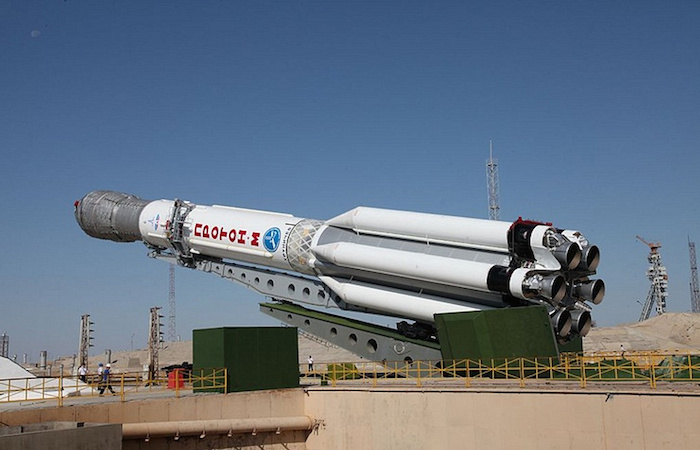 Russia is currently using only one modification of the Proton carrier rocket - Proton-M, which is referred to heavy-class rockets. In the estimate of Roscosmos, this model will be used for several more years.